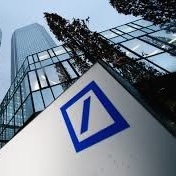 Deutsche Bank has reinforced its leadership team across both its technology and operations divisions with the hires of Richard Shannon as its Americas CIO and Scott Marcar as Head of Information Technology Infrastructure, revamping the group’s infrastructure in one fell swoop. Deutsche Bank recently announced it would hire 500 employees in the United States alone, part of a broad based initiative to revamp its systems and controls. In particular, the group has made changes to its Structured Finance Division and European Operations earlier this month. Mr. Shannon is pegged to join Deutsche Bank starting in October as its newest Americas CIO, tackling and managing the group’s compliance and regulatory ambitions in the region. His appointment will also be delegated between current Regional Head of GTO Americas, Scott Simon – both men will serve as Co-Head of GTO Americas. Mr. Shannon joins Deutsche Bank after over two decades at Goldman Sachs, having served as its Global Head of Web Platforms Technology. Alternatively, Scott Marcar is also coming over to Deutsche Bank as the Head of Information Technology Infrastructure. He will be responsible for managing and designing the bank’s existing infrastructure in a bid to foster improved security and efficiency costs. Prior to joining Deutsche Bank, Mr. Marcar worked at Royal Bank of Scotland (RBS) as its Chief Information Officer, Corporate and Institutional Banking. “Richard and Scott are strong technology leaders who will add to our deep bench of technical expertise. Their skills and experience will prove invaluable as the Bank continues to enhance its IT platform while strengthening controls,” added Kim Hammonds, Global CIO and Global Co-Head of GTO in an accompanying statement.